The mission of Murray County Public Works Department is to provide the public with professional, efficient, and courteous service. 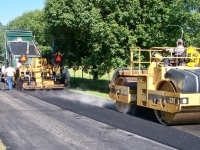 The Public Works Department strives for a safe and pleasing travel environment while on our county’s roadway system. How do I get a ditch cleaned out?